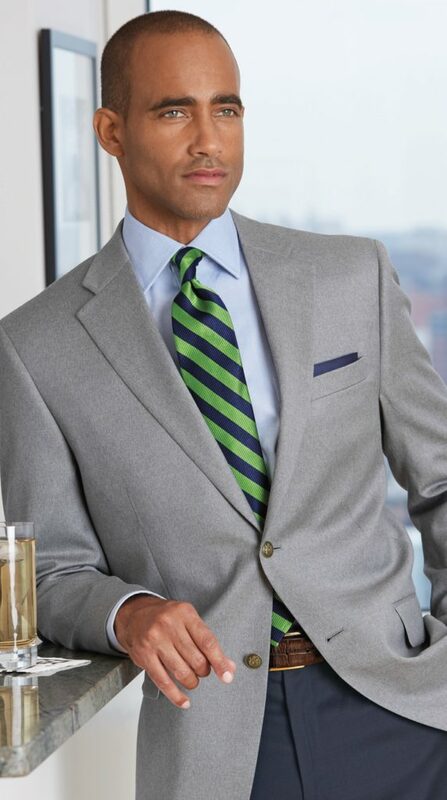 The Pure Wool Travel Blazer: Plugging in cool performance perks like wrinkle and stain resistance, our travel blazer is tailored of pure wool, which means you still get the comfort and durable good looks of your favorite blazer plus added benefits. One of our customer favorites, the travel blazer is offered in more than just traditional navy – you can get the same neat style in pearl grey, British tan, and black, plus the upcoming Spring shade of cool light blue. It travels beautifully; simply unpack and you are off to the races. Dressed up with a tie or relaxed with a pair of jeans, this jacket works how you need it to. Not to mention the price is hard to beat! Every man has dealt with the frustration of pants that one minute look immaculate and the next are creased beyond belief. And that’s not even considering what those pants will look like after you pull them out of your suitcase. When you wear our Non-Iron Chinos, however, those issues will be a thing of the past. Because they’re made from pure cotton, these pants have the durability, breathability, and sheer comfort of cotton as well as the neat casual yet smart appearance of chinos. Their wrinkle-free quality means that they will always look like you just ironed them, even if they’ve been stuffed into your carry-on. As for care, all you need to do is toss them in the washer and dryer and they’ll be ready to wear, looking just as sharp as when you got them. Our non-iron chinos come in essential neutrals like khaki, navy, black, and dark khaki, so you’ll be able to easily pair them with any pieces you want. Our Comfort-Waist Pants are the newest addition to our popular microfiber performance pant collection. We call microfiber a performance fabric because not only is it extremely comfortable, it’s also naturally wrinkle- and stain-resistant. 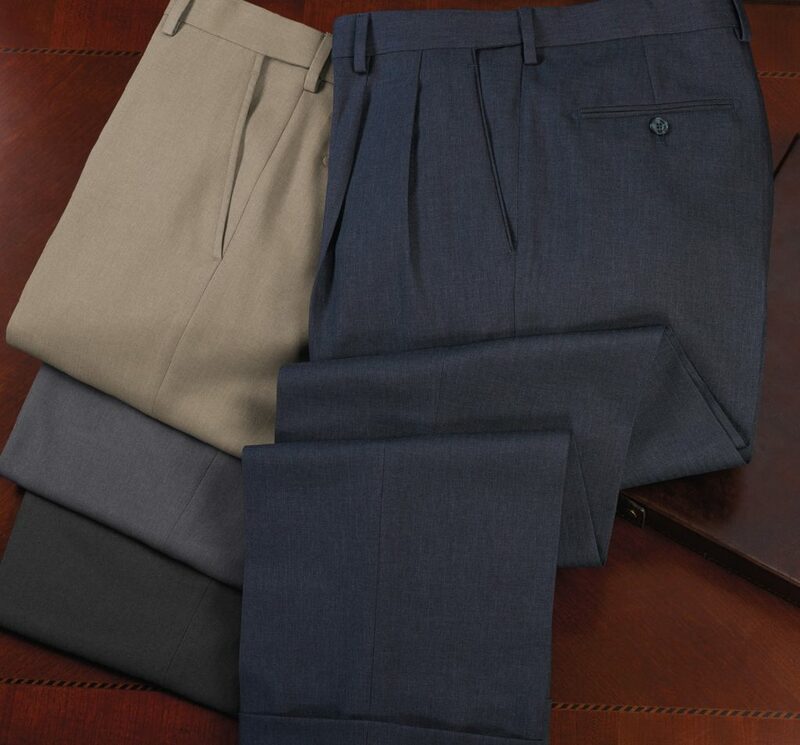 Our comfort-waist pants are different because while they look just like regular dress pants, they have a hidden secret – a waistband that expands up to 1½ inches. They’re the perfect combination of comfort and style, especially since they’re offered in four essential shades and two different models. So go back for seconds; your pants can handle it! 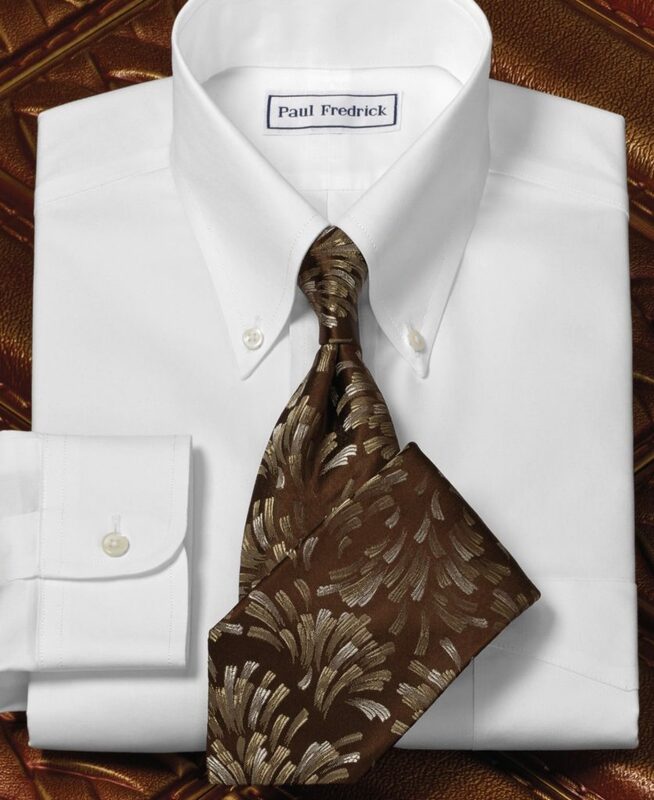 Our best-selling high performance style is undoubtedly our Non-Iron Dress Shirts. You might be wondering what makes our shirts a better choice than our many competitors. Well, for one, our shirts are totally wrinkle-free, whereas their shirts can just claim to be wrinkle-resistant. That’s a big difference! Here’s something not many know about us: our non-iron dress shirts are manufactured by the very people who invented the non-iron process. Their shirts are put through rigorous testing before they can be approved to be sold, which means you receive only the highest quality styles on the market. 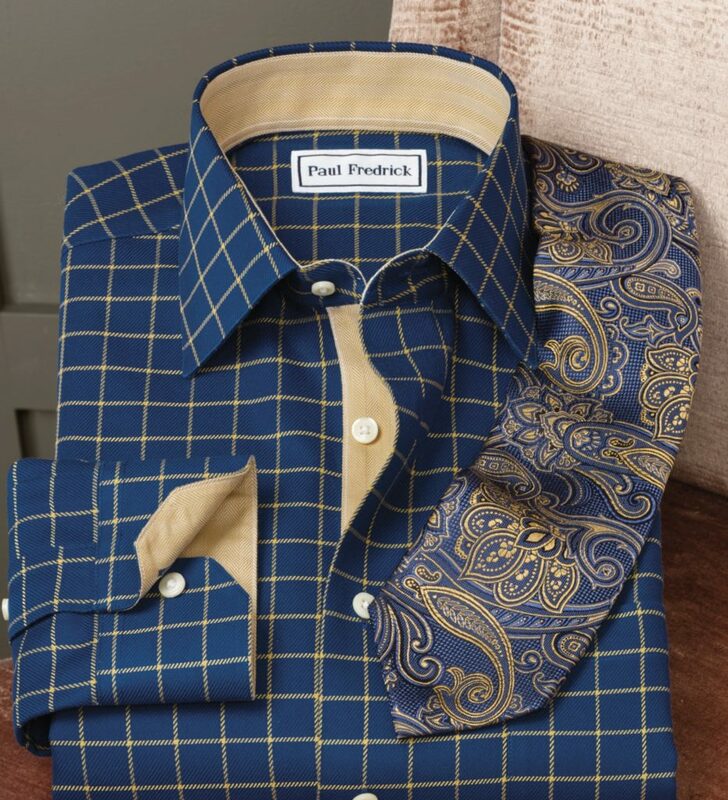 Our non-iron dress shirts are always made from 100% pure cotton, so you’ll be getting the same great wear as a regular cotton dress shirt, with the huge extra advantage of being wrinkle-free. They’re also very easy to take care of; like our Non-Iron Chinos, they are machine washable and dryer-friendly. We offer hundreds of different colors and patterns in the perfect collar styles and most importantly, fit, for you. Find your favorites in crisp white or other basic colors, or take a look at our seasonal collection and its new bold shades and patterns. Now it’s your turn: what are your travel “must haves”? I’m interested in the comfort-waist pants. I see they’re offered in the micro-fiber pants with the expanding waistband up to 1 1/2 inches of added comfort. Why isn’t that offered in the suit separates? Some of us have the need for a little extra room, but not enough to move up to the next full size….just a thought. Steve, we will certainly pass your comment on to our Merchandising team! 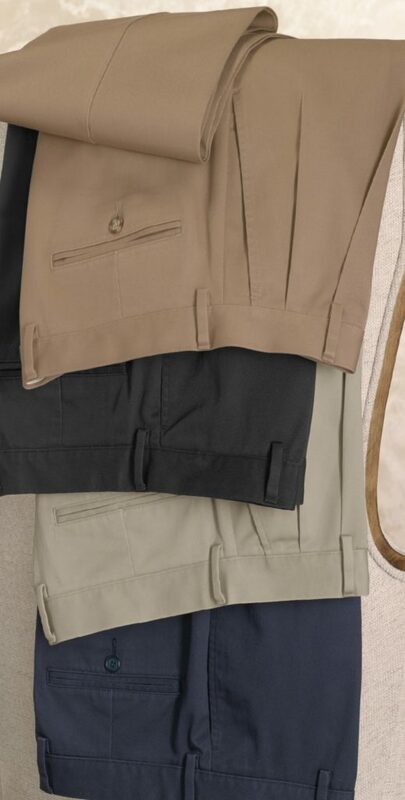 In the meantime, you might consider pairing our Comfort Waist Pants, which are currently offered in four colors, with any suit separates jacket or vest.